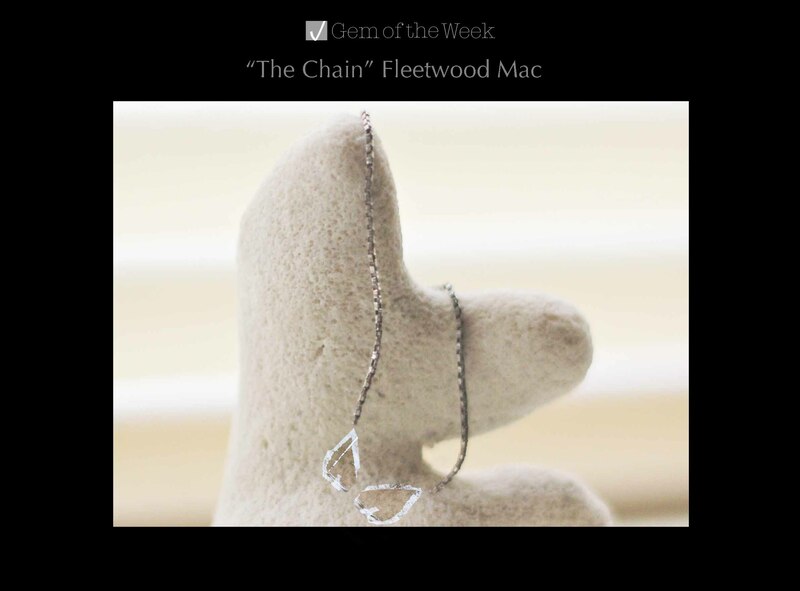 My gem this week goes to one of my classic rock favorites “The Chain” by Fleetwood Mac. This song came to mind as it relates to my current mood, so I dug out my Rumours (1977) album to listen to it. This is my favorite song from the Rumours album and I have always been inspired by singer Stevie Nicks. I think she is a phenomenal songwriter and I have always carried the highest respect for her as a true artist. Nicks vocals offer comfort and carry a distinct enchanting vibe. I can never get tired of listening to this song or the Rumours album in general. Fleetwood Mac actually played a recent show this past October in Detroit but I missed it unfortunately. I would have loved to see Nicks on stage because I’m sure it would be unforgettable. Below is the link for “The Chain” shared from Gtarmann007’s You Tube channel.